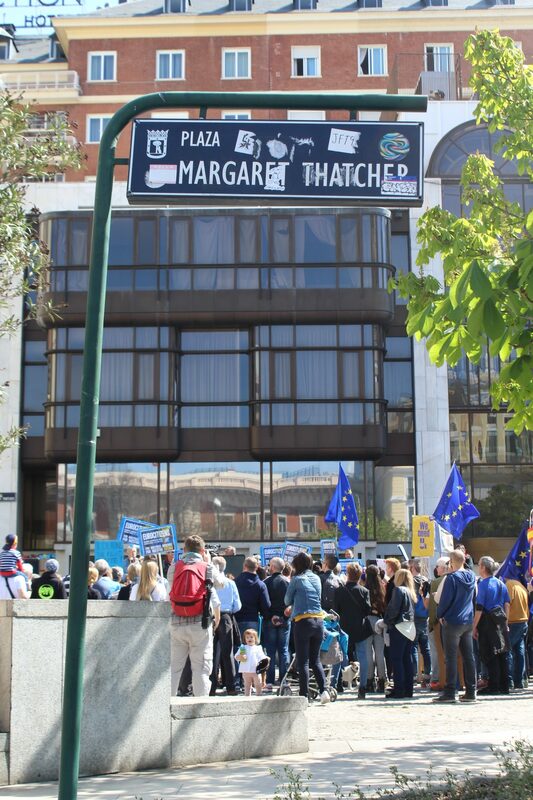 An anti Brexit rally in Madrid brought a few hundred people this Saturday to the Plaza Margaret Thatcher by the Plaza de Colón to protest against Britain´s decision to leave the European Union. 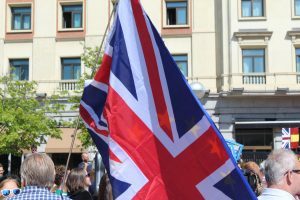 The rally organized by EuroCitizens, part of the umbrella “British in Europe” coalition, has been prominent in Madrid fighting to defend U.K citizen´s continued rights after Britain leaves the European Union – now set for the 12th April. The small but enthusiastic crowd was made up of a cross section from the British community in Madrid many of whom were very concerned about the situation “ I think we have made a big mistake” said Jenny Jones from Kent who has lived in Madrid for 3 years and has decided to return home to teach in Canterbury partly out of unease for the future, “I would prefer to stay but who knows whats going to happen now”. 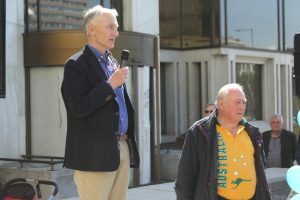 Fiona Govan the editor of the Local said : “The turnout may not have been massive but every single person there, young and old, British or Spanish or a mix of the two, felt passionately about being European and the importance of having their voices heard. It seems like decisions that affect our lives so greatly have been taken out of our hands and that doesn’t sound like democracy”. 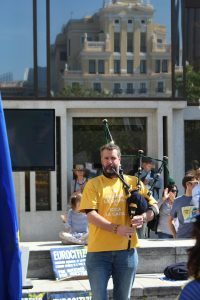 Others however were more sanguine, Neil Church from Bristol who has spent 21 years in Spain including 9 in Madrid said “ We have had a people´s vote – its called the referendum – and that needs to be respected so we can move on”. The U.K and Spanish governments recently signed in Madrid an agreement protecting each other respective citizens in the event of a “no deal” brexit. However the Chairman of the influential Bow Group and co-founder of the Madrid Conservatives, Ben Harris-Quinney questioned the choice of the Plaza Margaret Thatcher as a stunt and dismissed the event.” There can be no doubt, from her Bruges speech, her statements to Parliament, and many after leaving office that Margaret Thatcher would have supported Brexit and strongly opposed the federal political union that the EU now is. No protest, no petition, can trump the clear instructions of 17.4 million British people engaged in the largest democratic exercise in British history. 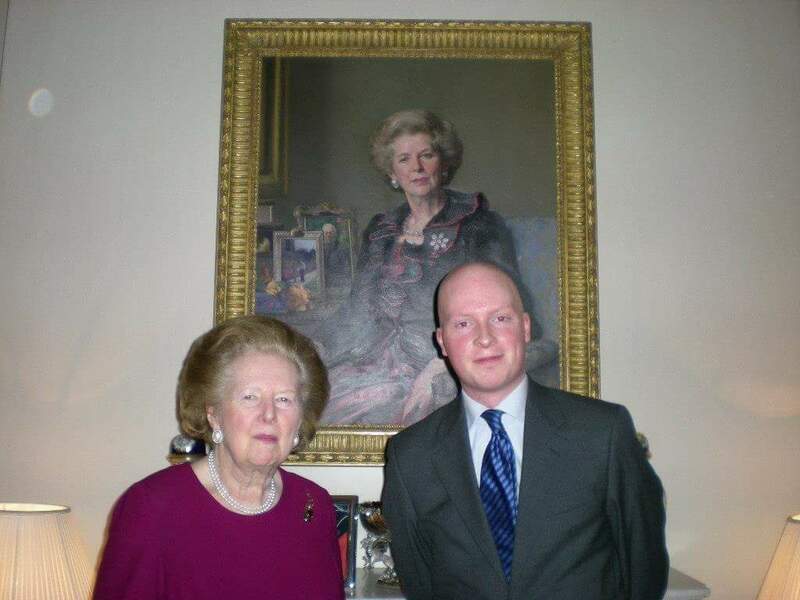 We dont need to be asked the same question over again, we need to leave the EU in form and function. Enemies of that process are enemies of the democratice protest” he said. Previous articleIs This The New Real Madrid Playing Shirt?